Longevity:Lasts Forever. Never Wears Out. Never Expires. Limitations:Glows in ANY temperature. Only visible in the dark. What is it? 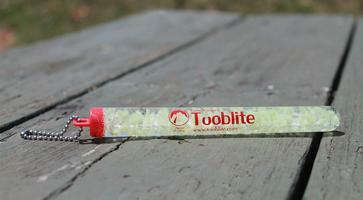 Tooblite 6 inch (Tube Light) are reusable glow sticks. 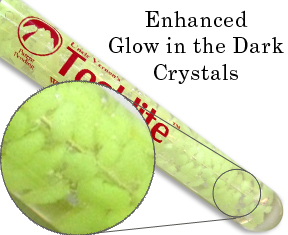 They glow as identifiers in the darkness all night long, recharge from any light source, and are reusable over and over again forever. They never wear out or degrade over the years. 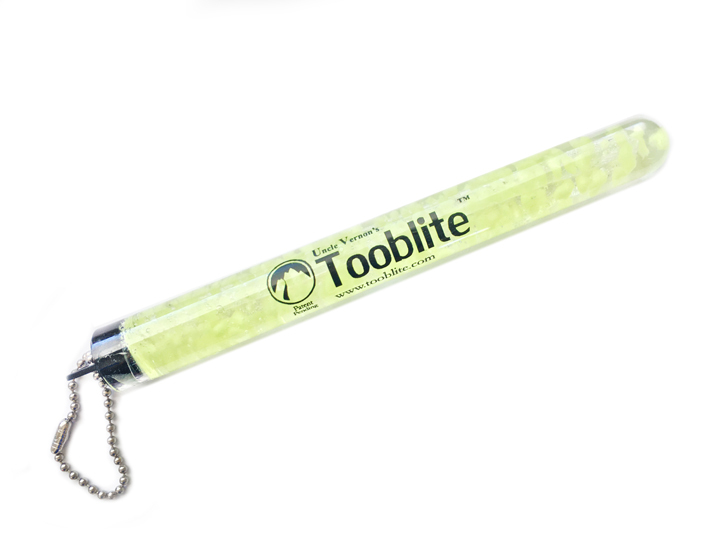 All of our glow sticks are designed to be markers/beacons/locators in the dark. Attach them to items you need to easily access in the dark. They are not designed to illuminate space. 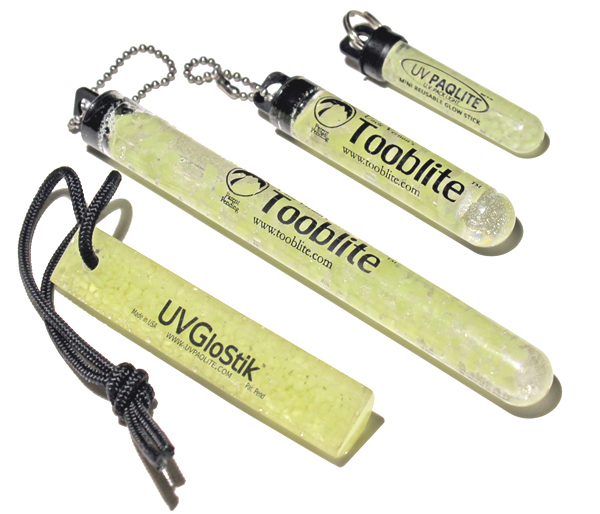 Suggested Uses: Attach UV GloStiks to items you need to find in the dark such as kids, keys, flashlights, backpacks, gear, fire starters, etc. i think i have one of the originals, its still working. its hanging in my car right now. I ordered 2 of these and I'm pretty pleased with them. They charged very quickly under my Surefire flashlight and they emit a pleasant green glow. They aren't extremely bright but you can use them to look at something close up in the dark. They aren't heavy either which is a big plus. I plan on keeping these on my backpacks that I use for hiking and camping so I'll be able to find my gear in the dark if need be. Doesnt light up a room but you can see it glow. so it does what it says. i hung it on my door knob in case of fire i can find it.